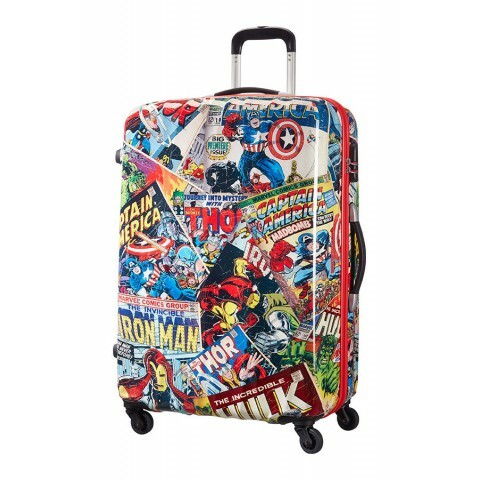 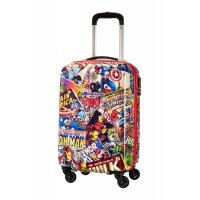 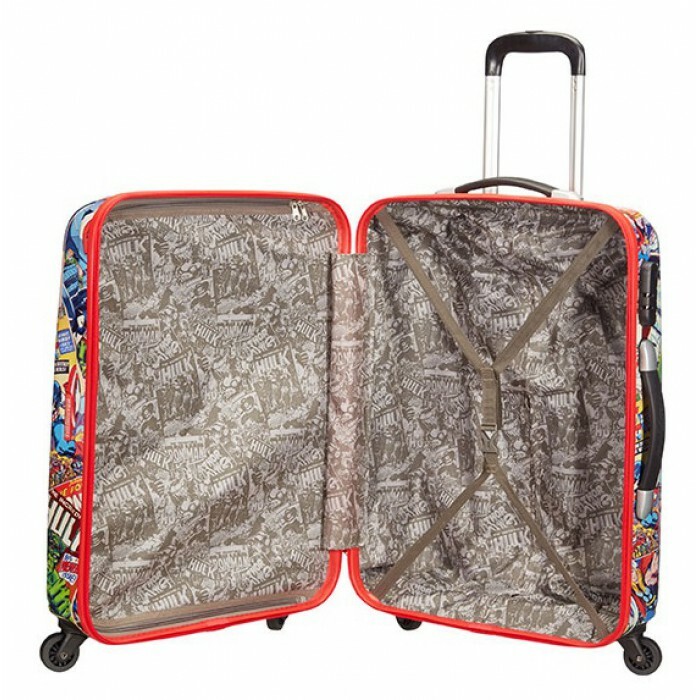 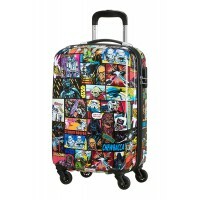 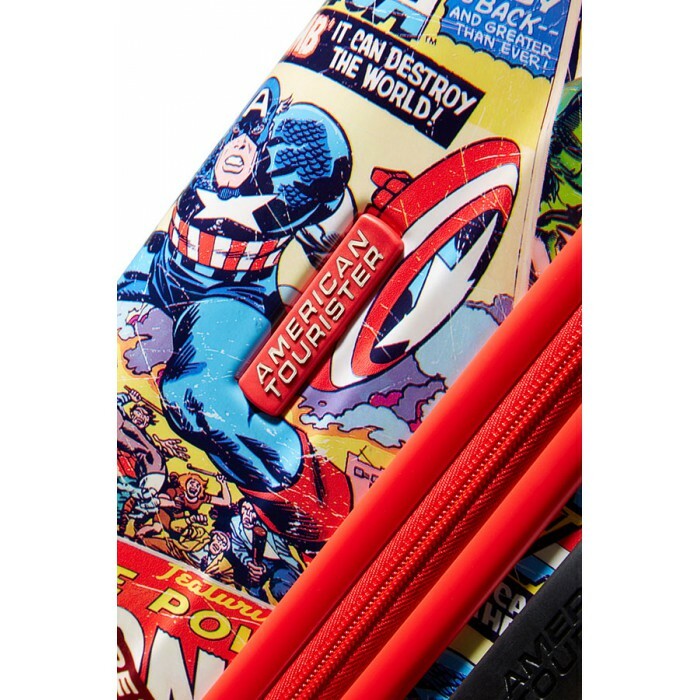 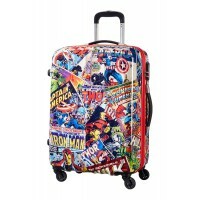 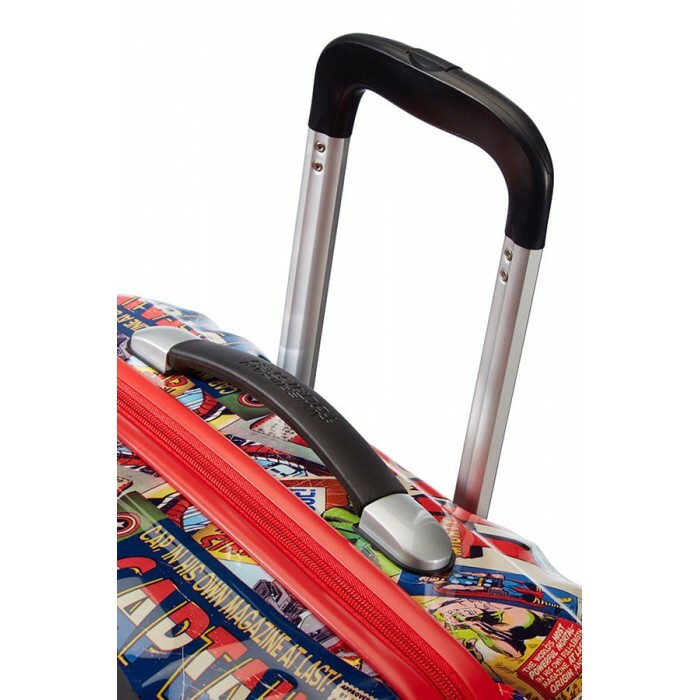 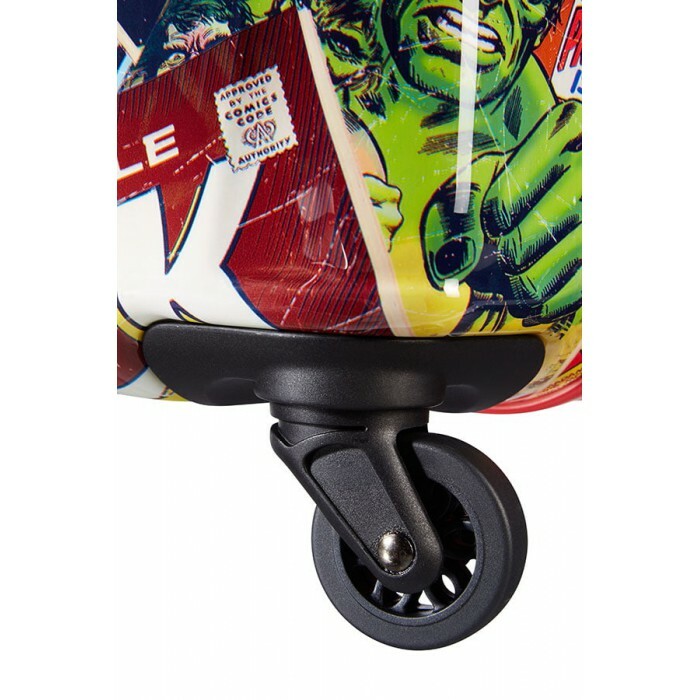 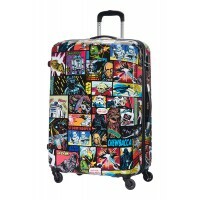 The Marvel heroes are on board with you thanks to this hand luggage size 4 wheel suitcase, good for Air France or British Airways cabin luggage dimensions. 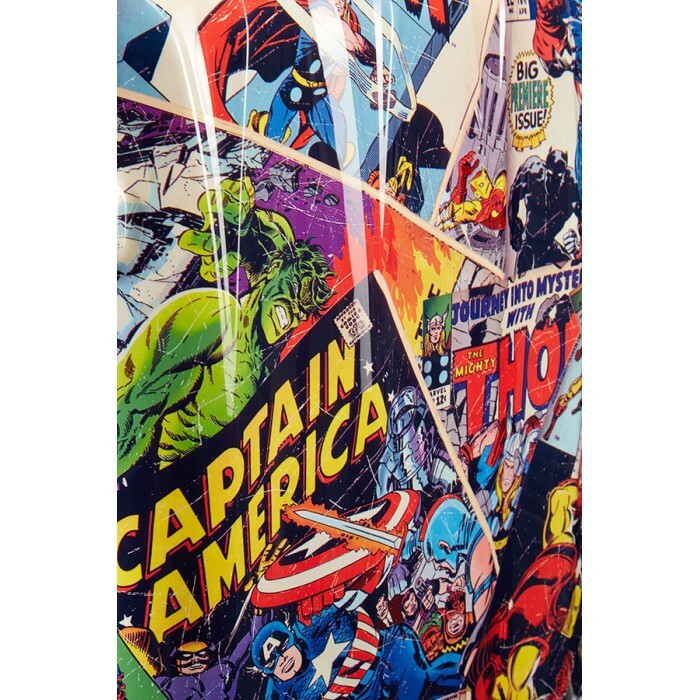 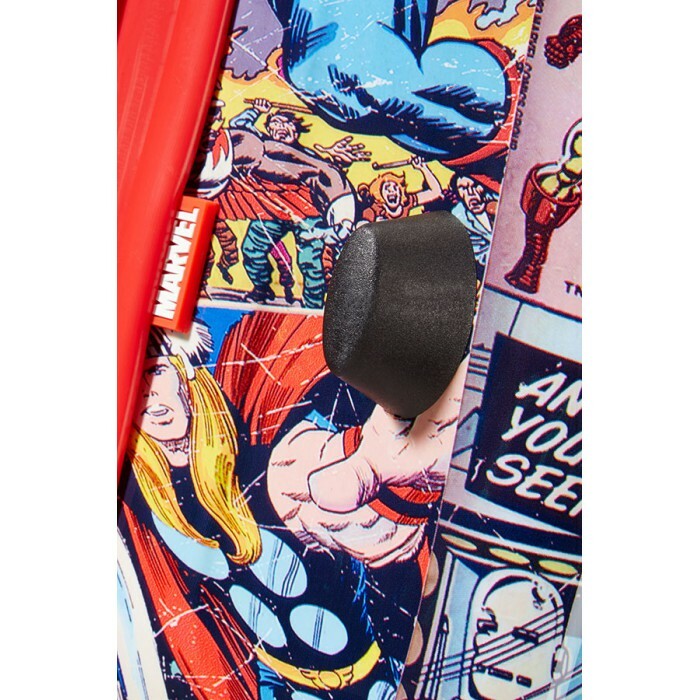 The ultra cool vintage-style print features Thor, Captain America, Iron Man and Hulk on the outside and matching lining on the inside. With a bunch of great features like fixed combination lock for extra security, smooth rolling wheels and comfortable handle, this Marvel suitcase will make you feel like a superhero. 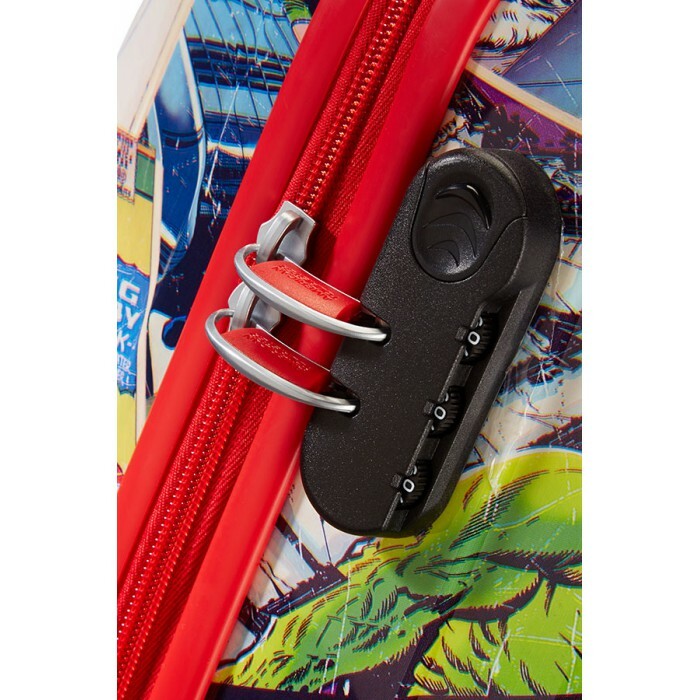 Locking System Fixed 3 digit combination lock for secure travel.